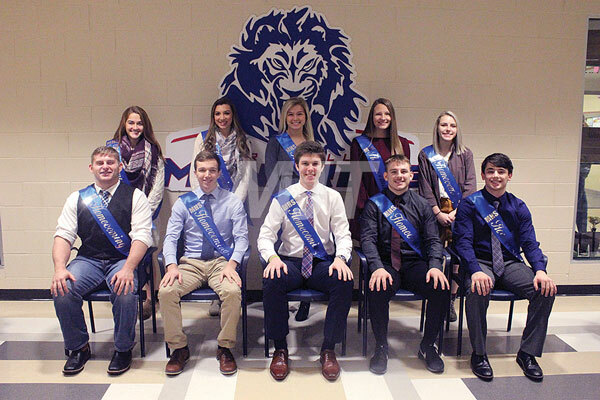 Pictured above are members of the 2019 Winter Homecoming Court for Marysville High School. The king and queen will be named between the girls and boys basketball games against Upper Arlington Friday night. Members of the court are, from left to right, in the front row, Ethan Smegal, Luke Kudart, Connor Hamlett, Joey Robinson and Zach Lowe, and in the back row, Madison Powers, Aspen Widmer, Ashlee Fishbaugh, Logan Brown and Madi Bentz. 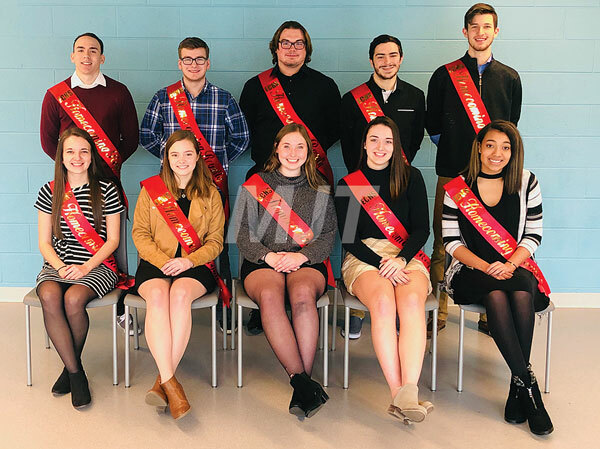 Pictured above are members of the 2019 Winter Homecoming Court for Marysville Early College High School. The king and queen will be named between the girls and boys basketball games against Upper Arlington Friday night. Candidates are, from left to right, in the front row, Michaela Stauffer, Jessica Anliker, Rowan Andrews, Anna Kinney and Jazmine Williams, and, in the back row, Mathew Kazmierczak, Ben Johnson, Cayde Wheeler, Nick Marinelli and Blake Angel.